In a very small saucepan, melt the fat with 2/3 of the chopped thyme, garlic and juniper berries. Allow the fat to infuse by placing the pot on the corner of the stove element at a very low temperature for 20 minutes. If the fat starts to bubble, remove from heat and wait a minute or two for the heat to drop. Return to the stove. Strain the fat at the end. Allow to cool slightly, and then add white truffle oil and Sriracha sauce. Mix well and set aside. In a large thick bottom saucepan, heat 3 tbsp. 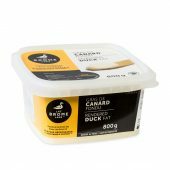 of duck fat and add 4 popcorn kernels. Cover leaving the lid slightly open. When the kernels start to pop, add the rest of the kernels and cover again with the lid, leaving a small opening. Shake the pot constantly to keep kernels as level as possible for even heating. Add a few pinches of salt and cover again, leaving slightly open. Be careful; the kernels will start to pop. 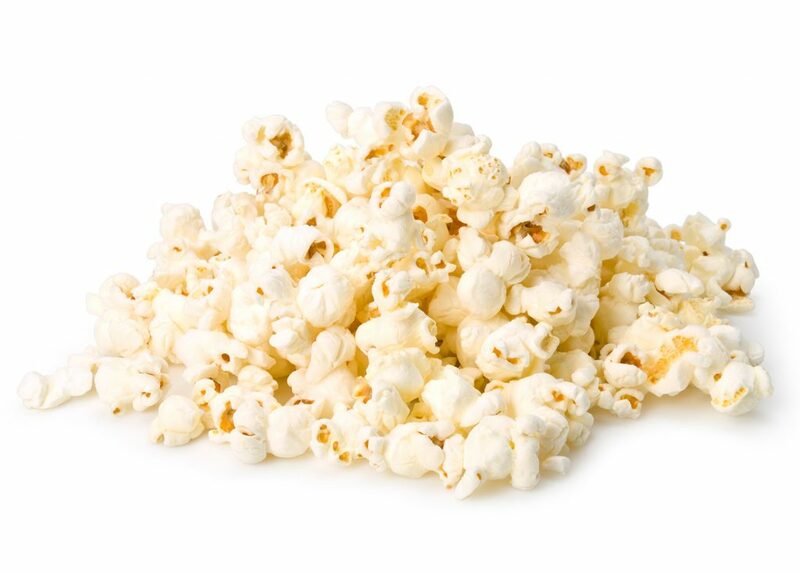 Allow kernels to pop continually shake the pot until the frequency of popping slows down to a few seconds between pops. Remove the pot from the stove. Remove the lid and transfer to a large bowl. Season and mix the popcorn with a little salt, the sumac and Parmigiano. Mix well and add half of the infused heated duck fat. Mix well to coat evenly. Taste and season further if needed, adding more salt, the rest of the infused fat, the chopped thyme and more Parmigiano or sumac. Serve immediately. * Sriracha sauce is a spicy Thai sauce made of hot peppers, distilled vinegar, garlic, sugar and salt. The hot red sauce sold with sushi, sambal olek, harissa or other hot pepper paste is also a good alternative.